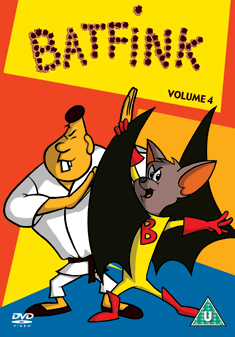 Batfink, the crime-busting superhero, with his supersonic sonar-radar and infamous wings of steel, is on a mission to make the world a safer place. With his powerful yet unavailing sidekick, Karate, Batfink must battle against his arch villains Hugo A Go Go, Gluey Louie, The Skinny Minnie Gang and many more, in the fight against evil! Contains episodes 76-100 of the series, the final episodes.